UDM Downloads > Internet Controls Pack! 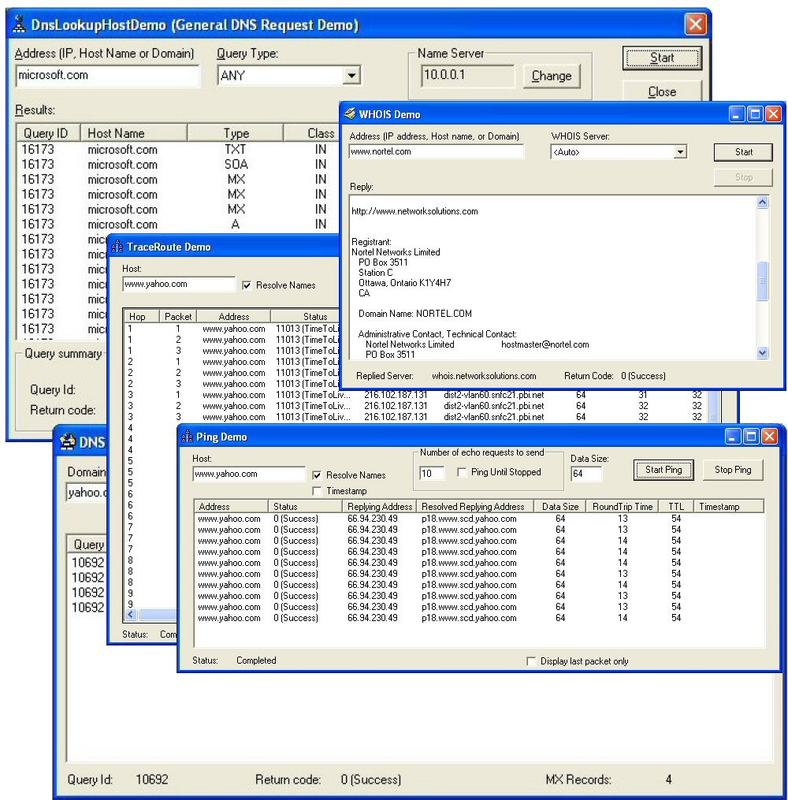 Magneto Software Internet Controls Pack contains our state-of-the-art Internet ActiveX controls: SkDNS (DNS Lookup), SkFinger (Finger), SkICMP (Ping and Traceroute), SkPortScan (Port Scanner), SkSNTP (Network Time), SkSystemInfo (System Information), TFTP, and SkWHOIS (WHOIS) ActiveX controls. All of these controls are asynchronous controls and are capable of performing multiple requests simultaneously. All of these controls can be used from any 32-bit Windows development environment, including Visual Basic, Visual C++, and Delphi. All controls come with complete documentation, sample code, and working demo programs.